The history of CII is the story of the transformation of a miniscule association, representing a small segment of industry, to the premier business association of modern India. The journey began in 1895 when 5 engineering firms, all members of the Bengal Chamber of Commerce and Industry, joined hands to form the Engineering and Iron Trades Association (EITA). EITA was set up at the end of 1895 with the aim of pressurising the colonial government to place government orders for iron and steel and engineering goods with companies based in India. At that time the practice was to place all government orders with firms based in UK. 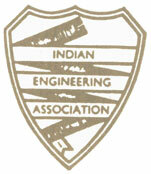 Till 1942 IEA was the only all-India association of engineering industry and represented mainly big engineering companies, particularly the British firms. This led to a situation where the interests of the Indian firms (mainly medium and small scale) were not sufficiently represented. Thus the Engineering Association of India (EAI) was established in 1942 as an affiliate of the Indian Chamber of Commerce. EAI represented small and medium engineering firms mostly owned and promoted by Indians, and had different origins and management styles from the IEA. Foreseeing the upcoming challenges in the future, the leadership at AIEI felt the need for greater consolidation and solidarity that would put the industry on a stronger footing and would help it meet the challenges of competition and globalisation. Thus in 1986 there was a change in name from AIEI to the Confederation of Engineering Industry (CEI), reflecting the growth and expansion of the organisation since 1974. CEI now became an apex body for manufacturing industries at the national level. The change in name from EITA to IEA in 1912 reflected the association's decision to exclude traders from the membership and concentrate fully on promoting the cause of manufacturers. By this time, many more manufacturers had come into being and there was a conflict of interest between traders, who preferred government orders to be placed with companies in the UK, and manufacturers of engineering goods, who sought industry promotion through public orders. After Independence of India in 1947, the public sector assumed the lead role in industrial development. By 1970s, a new base of heavy industries had been built, but private companies faced restrictions through licensing requirements for new units and /or expansion. 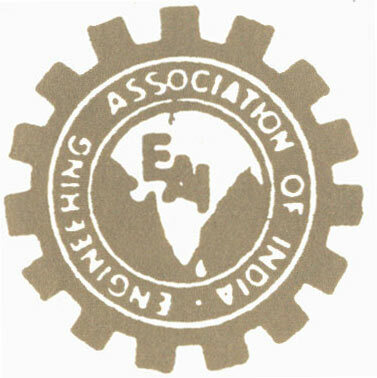 Keeping in view the greater interests of the Engineering industry in the country, in April 1974, the two associations - IEA and EAI - merged to form the Association of Indian Engineering Industry (AIEI). For the engineering industry the merger meant a stronger association capable of harnessing larger resources and providing a wider range of services. In 1991, industrial licensing was abolished and economic reforms on a wide scale started taking shape. With effect from 1st January 1992, in keeping with the government's decision to opt for the liberalisation of the Indian economy, the name of CEI was changed to Confederation of Indian Industry (CII). In a new policy environment, it was natural that there would be inter-sectoral integration through a process of diversification and expansion, where the engineering units would diversify into non-engineering units and vice-versa. Since 1992, through rapid expansion and consolidation, CII has grown to be the most visible business association in India.